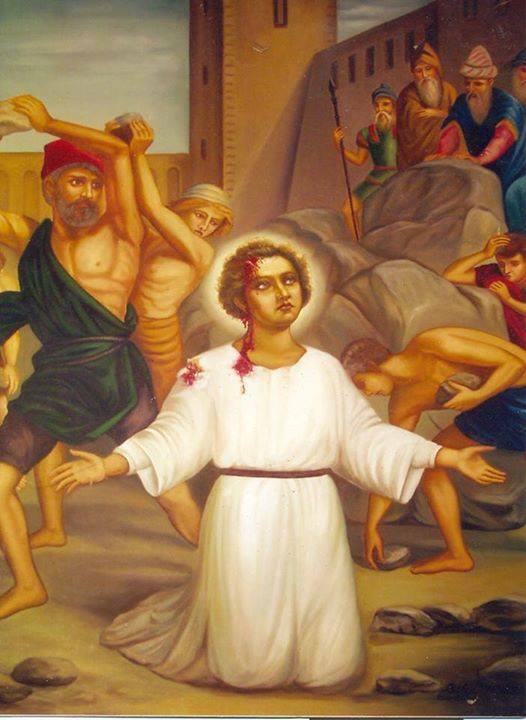 On December 26, we celebrate the feast day of St. Stephen who is considered the first martyr. In some parts of the world like Denmark, Germany, Finland and the Republic of Ireland this date is considered a public holiday and it coincides with Boxing Day which is also known as the second Christmas. St. Stephen is the patron saint of deacons, altar servers, stonemasons and casket makers. 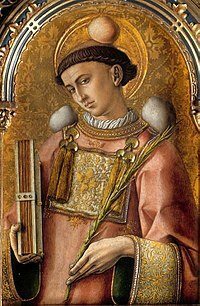 Saint Stephen lived an exemplary life as one of the seven deacons appointed by the Apostles to perform charitable acts to the poor. As his feast day draws near, let us look back to his life and legacy and look for lessons we can learn from it. 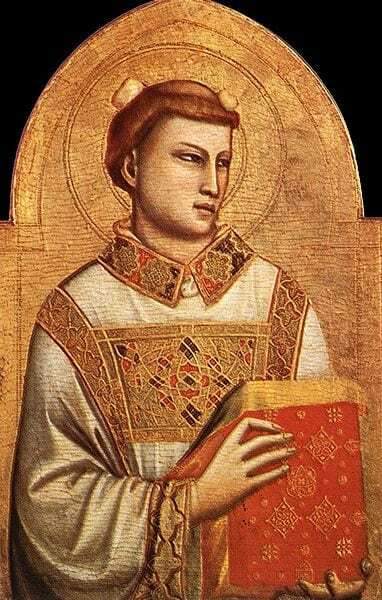 Saint Stephen was one of the first deacons ordained by the Church. The name Stephen is Greek and according to Acts 6 he is a foreign-born Jew or a Hellenist who spoke Greek. The Hellenists were a minority in the Christian community and they complained that their elderly widows have been neglected. In response to this pressing concern, the apostles decided to select seven deacons to help them extend their pastoral care to those in need. These deacons were therefore important not just for the pastoral care they provided to the impoverished but because they helped the apostles focus more on teaching. As the oldest of the seven ordained deacons, Saint Stephen was given the title of archdeacon. He was also recognized for his exemplary gift as an evangelist. Miracles and great preaching were attributed to him and he would engage in important discussions in the synagogues of Diaspora Jews in the capital. Now Stephen, filled with grace and power, was working great wonders and signs among the people. Certain members of the so-called Synagogue of Freedmen, Cyrenians, and Alexandrians, and people from Cilicia and Asia, came forward and debated with Stephen, but they could not withstand the wisdom and the spirit with which he spoke. St. Stephen’s popularity stirred up animosity among the Jews, particularly members of the Synagogue of Roman Freedmen. Different members of the synagogues would challenge Stephen’s teachings but he bested them in debates. This only fueled further hostility among his enemies and soon they made false testimonies against him. St. Stephen was charged with speaking blasphemous things against Moses and God. This accusation provoked a public outcry and the local population demanded that he be tried and sentenced. His opponents dragged him before the Sanhedrin, the supreme rabbinic court in Jerusalem. In front of the Sanhedrin and his accusers, Stephen gave a long speech about the history of Israel and the blessings that God had given upon His chosen people. This speech is recorded in Acts Chapter 7. He talked about how, despite God’s mercy and grace, Israel had become disobedient. He then denounced his listeners as “stiff-necked” people who turned against the Holy Spirit just as their ancestors did. The crowds watching the trial were enraged after being rebuked. Stephen then looked up and told them that he saw the heavens open and Jesus standing at the right hand of God. The crowds, however, covered their ears and dragged him out of the city where they stoned him to death. Even in his final moments, St. Stephen displayed a forgiving spirit and even asked God not to hold the sin of his attackers against them. His words and actions capture some of the most important teachings of Jesus which is about loving our enemies. Christians buried St. Stephen but the location of his tomb was not specified. It was only in 415 AD that a priest named Lucian had a dream that revealed the site of St. Stephen’s remains. A name inside the tomb confirmed that the gravesite was indeed St. Stephen’s. The relics of the first martyr were then brought to the church of Hagia Sion on December 26, 415 which made the date his feast day. In religious art, St. Stephen is traditionally depicted with stones, a Gospel Book, a miniature church and a martyr’s palm branch. The English word martyr is derived from a Greek word which literally means “witness.” In the same way, each and every Christian is called to bear witness to Jesus Christ. This does not necessarily mean shedding blood. Being a witness means we are to be living testimonies of our faith and manifest it by being righteous in our thoughts, words and actions.